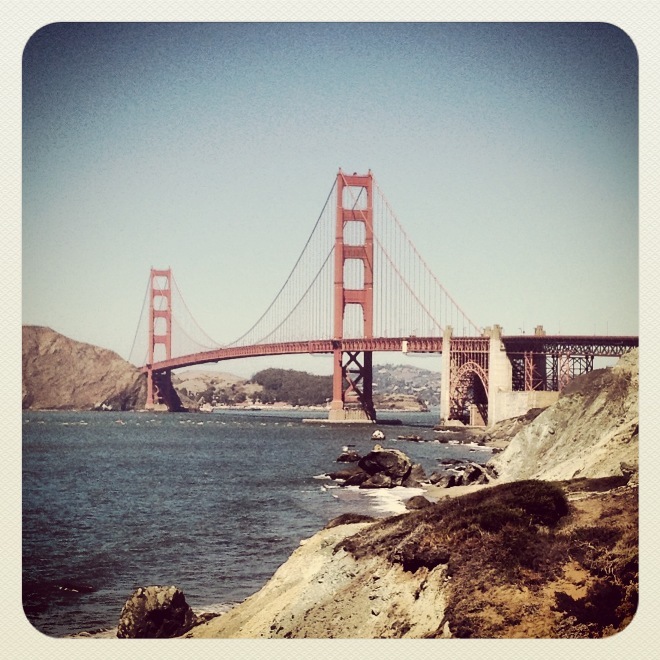 Of course this week’s Photo Challenge has to be the Golden Gate Bridge. To think I went running here almost every weekend. No matter what the weather, she was breathtaking and inspiring. I always left feeling uplifted and renewed. How I miss her. 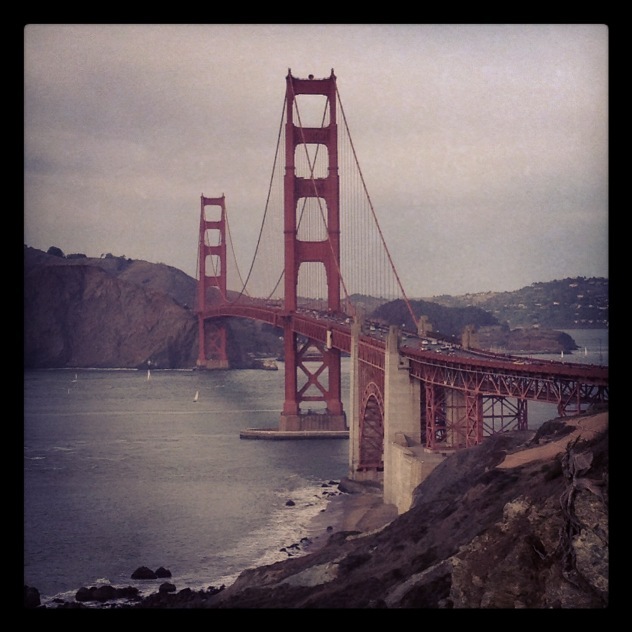 This entry was posted in Beauty, Other, San Francisco and tagged Beauty, Bridge, California, Fog, Golden Gate Bridge, Monument, Postaday, San Francisco, Weekly Photo Challenge. Bookmark the permalink. 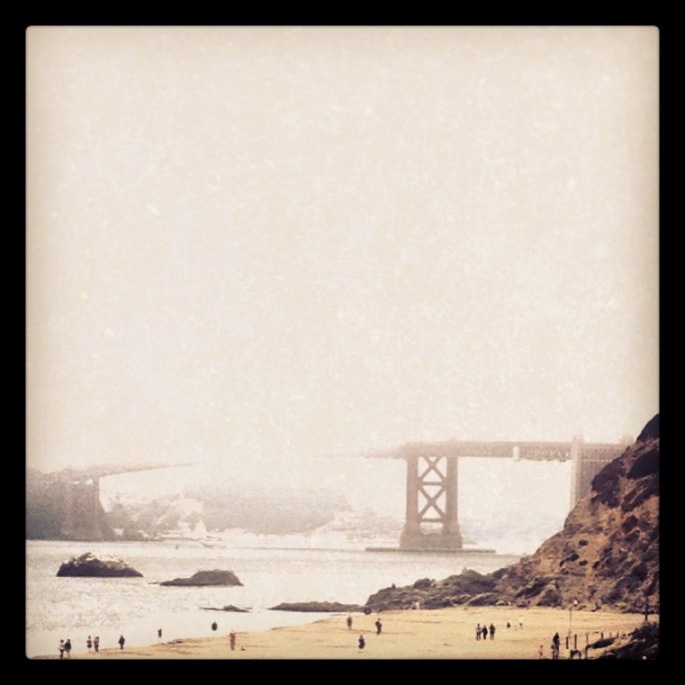 The foggy with “broken” bridge shot is eerie and amazing! Great job!! Thank you! I used to really dislike the fog until we made the decision to move. Then I started to love and appreciate it. It can really add such an emotional layer to ordinary things. Pretty good so far. Unpacking…bleh. Wonderful pictures of the Bridge. You must miss her. Thanks for visiting. Best wishes. Thank you! Yes, miss her tons, but I’m sure I will grow fond of my new town as well.